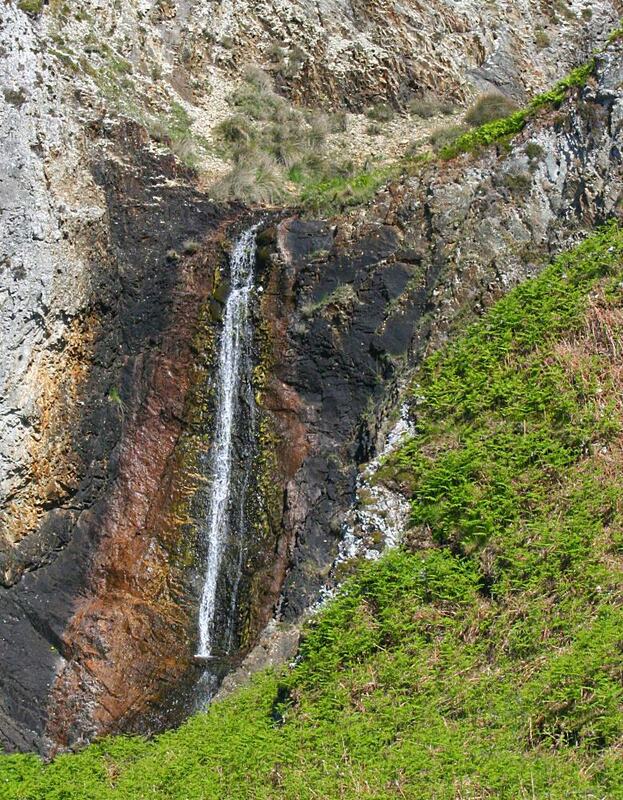 It’s probably much more impressive in full flow after a day of rain, but this waterfall still looked interesting enough on a sunny and warm June day. I’m not sure of its name (or the burn feeding it) as there are several on the map for the area and I can’t remember which one of them this is. In any case, we admired it near our destination during a walk to Mala Bholsa back in 2010. Picture courtesy of my sister Imke. 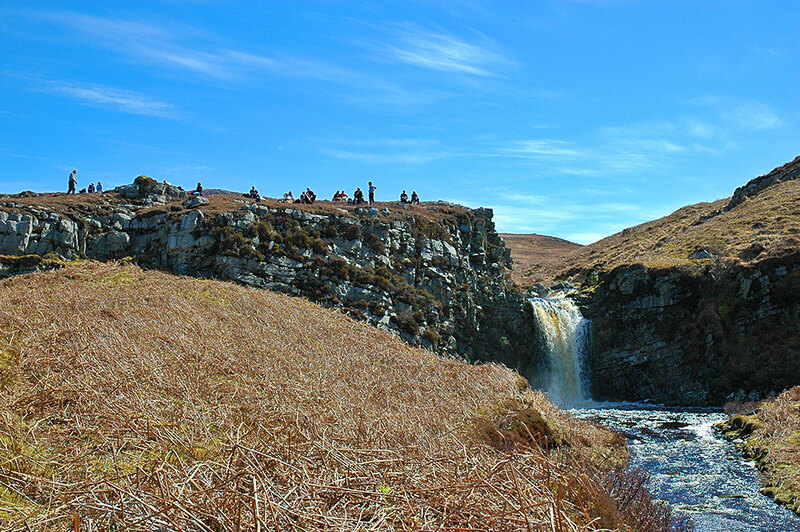 From an Islay walking week excursion to Jura back in 2005, the walkers are taking their lunch break above a waterfall close to Loch Tarbert (the loch is right behind the photographer). 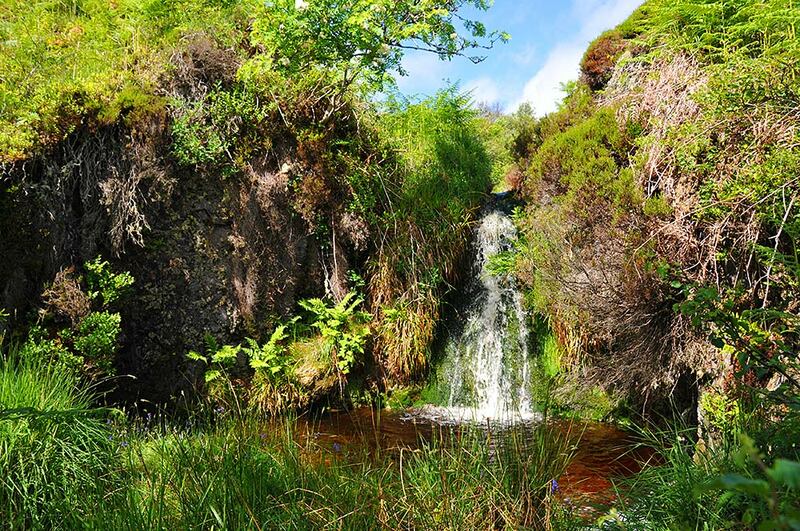 A view of a small waterfall at Bachlaig running into a small hollow, about a mile north of Bunnahabhain on a hillside overlooking the Sound of Islay.